A native from Provençe, Mirèio’s new master chef brings with him an impressive culinary pedigree. Hervé Clair started his career with an apprenticeship in Les Pins Penché, a gourmet restaurant in Château de Toulon in France. He continued to develop his passion for the culinary arts by training under culinary idol Alain Ducasse in three acclaimed Ducasse restaurants namely: the La Bastide de Moustiers in Provençe, the Parisian bistro Aux Lyonnais in Paris, and the renowned Le Relais du Parc in Paris—all known for their classic and innovative take on French gastronomy. After seven years with the Alain Ducasse enterprise, Clair went on to become the sous chef in Paris’ prestigious Michelin-star restaurant, Les Fables de la Fontaine. In 2014, he joined the charming Hotel & Spa L’Alta Peyra in Saint Véran, France. Prior to joining Raffles Makati, Chef Clair was chef adjoint at the La Maison 1888 in Danang, Viet Nam. The famed restaurant was created by the legendary three Michelin-star Chef Pierre Gagnaire, with whom Clair worked closely. With his background and expertise in French cuisine, Chef Clair will take the helm of the culinary team at Mirèio. 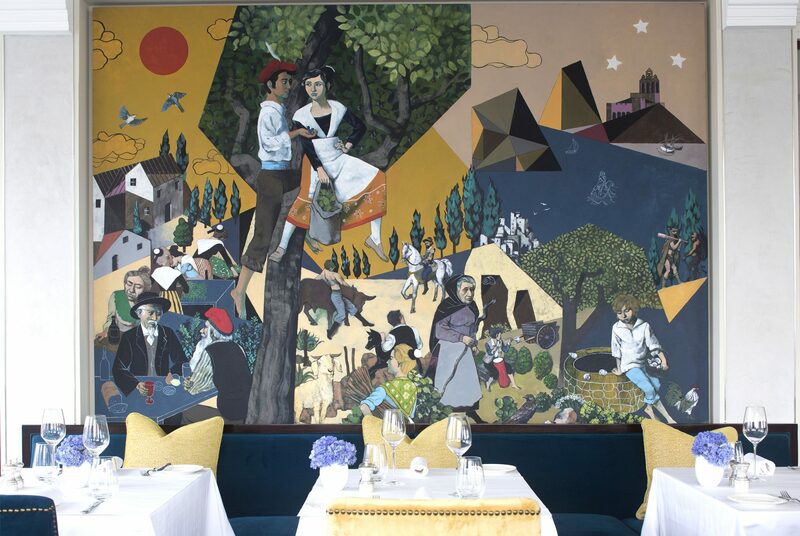 The upscale brasserie will offer exciting, classic and creative dishes with a spirit of Provençe and France.